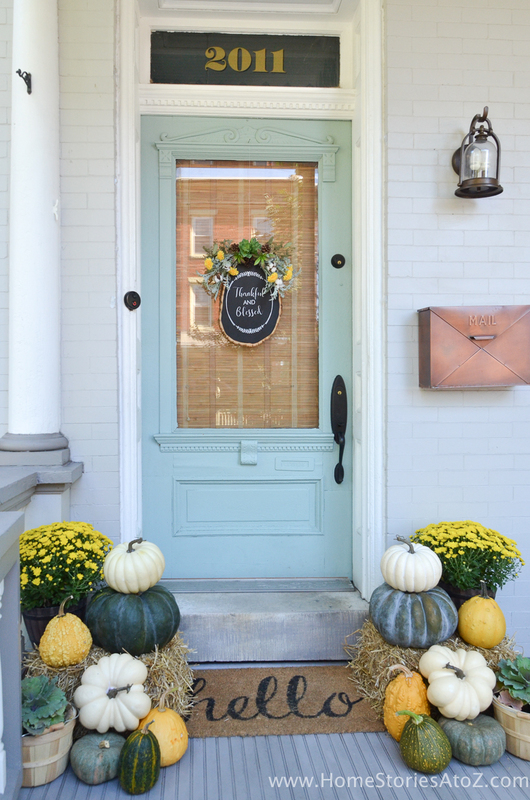 This fall door decor idea is a fun change of pace from your typical fall wreath! 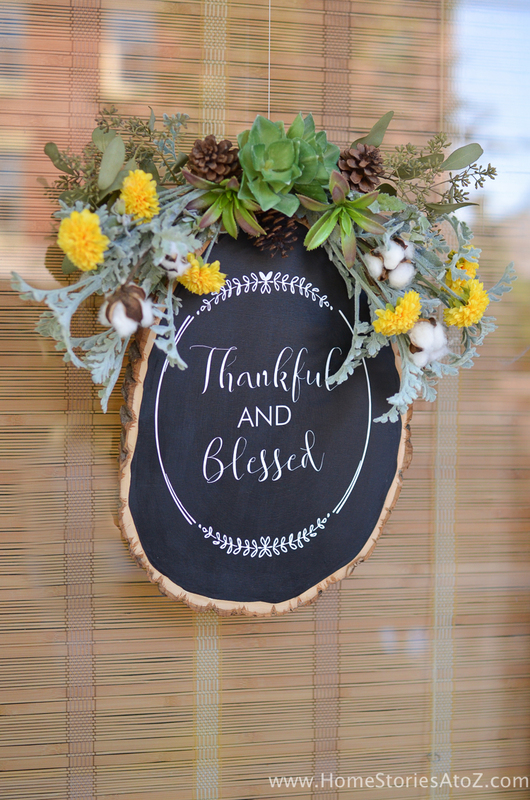 Learn how to make a chalkboard wood slice with this easy to follow step-by-step tutorial. 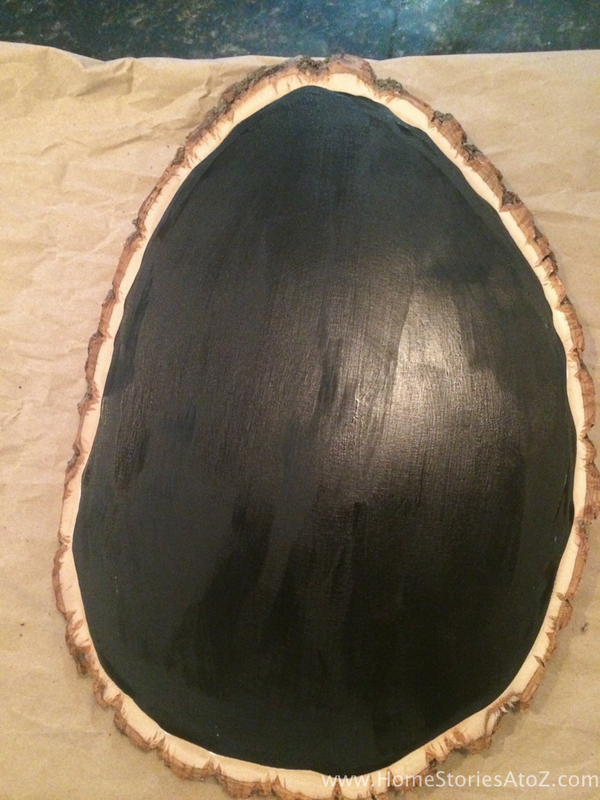 Step 1: Paint your wood slice with chalkboard paint. I used a small paint brush to follow the edge of the wood slice around the perimeter of the wood and then used a larger brush to fill in the rest. If using chalkboard paint, you won’t need to prime. Step 2: Create your design and print on white vinyl OR print design and use carbon paper to trace design on wood. 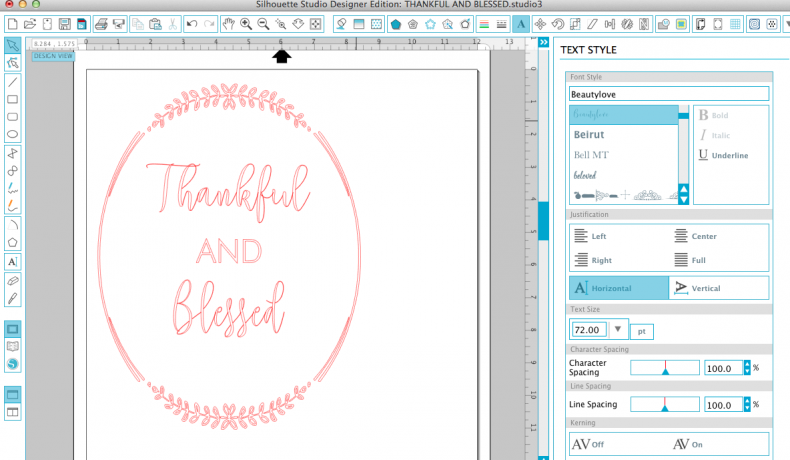 However, my Silhouette Cameo design program wasn’t able to adequately trace around the font she used, so I created a similar design using the free oval download from We Lived Happily Ever After. 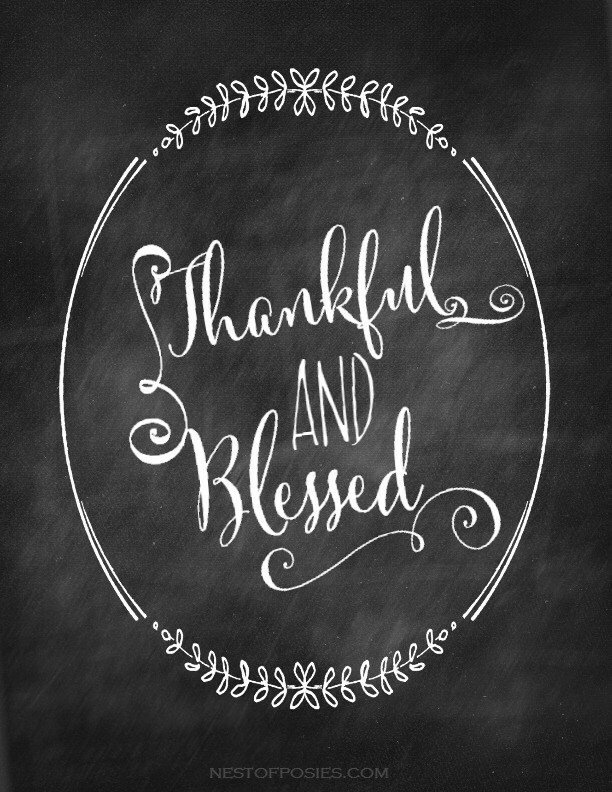 I used the (purchased) font BeautyLove for the script words and Futura LT BT for the word “and”. 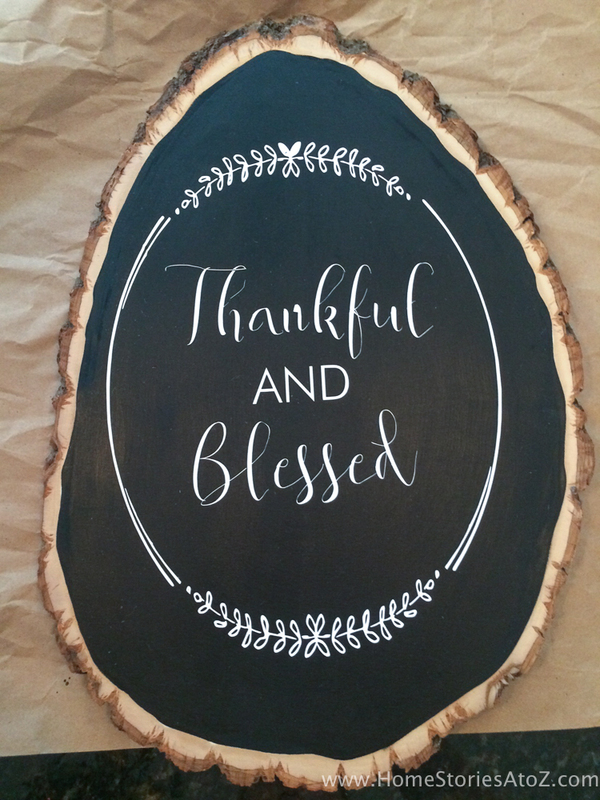 It’s a very light and wispy font, so you will definitely need vinyl transfer paper to transfer your design onto your wood! You can see up close that some of my wispy pieces didn’t quite transfer. If you don’t own a vinyl cutting machine, print out Nest of Posies printable and use carbon paper to trace the design onto the wood slice. You can then fill in your design using a chalkboard pen. Step 3: Attach a saw tooth hanger on the back. 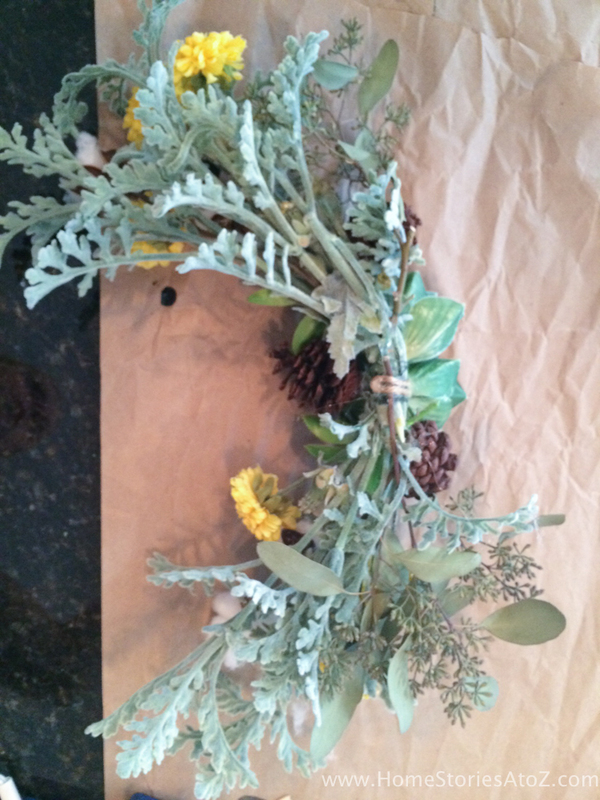 Step 4: Create a swag using faux flowers and greenery. 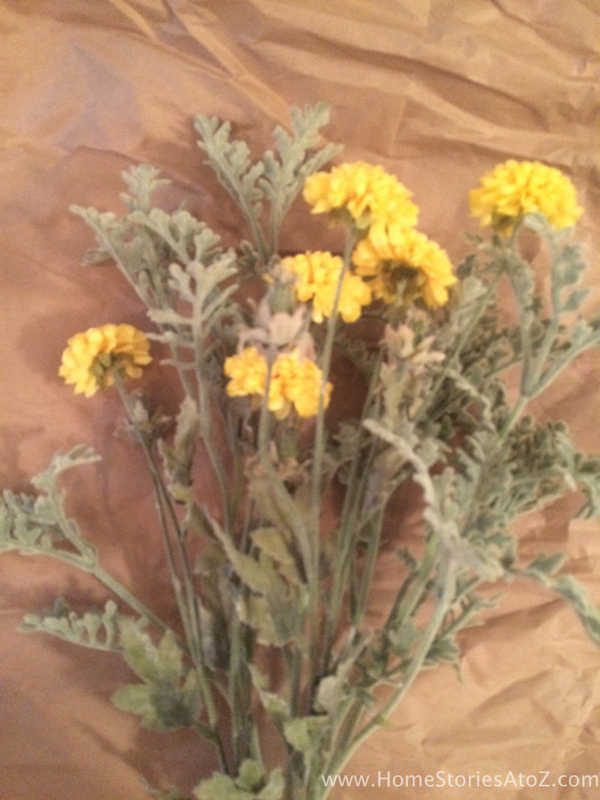 I purchased some faux flowers from the craft store and arranged them into a swag. I also used a few faux succulents and some pinecones that I had on hand. 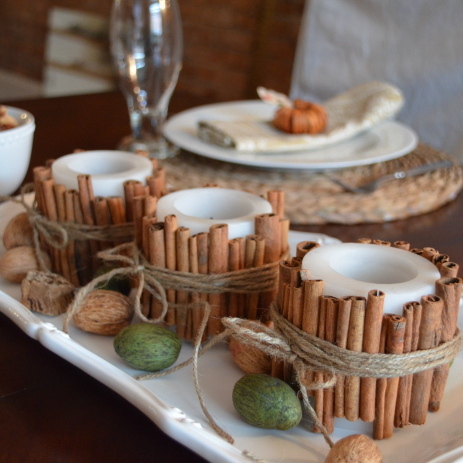 Secure the swag with floral wire and hot glue to the top of the wood slice. Step 6: Hang on your door using fishing line. Fishing line is my secret door decor weapon. I don’t like the look of most door hangers so usually opt for fishing line. It’s sturdy and will “disappear” from a distance. 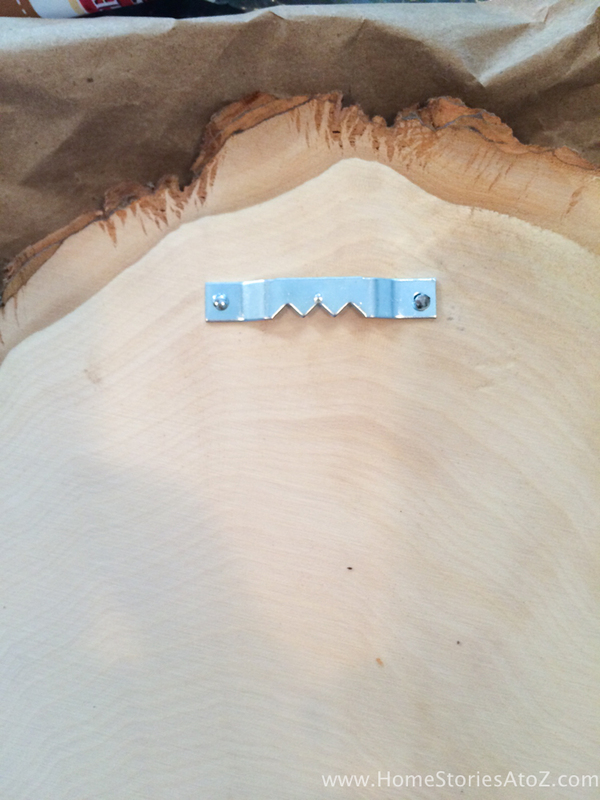 Simply tie it around the saw tooth hanger and secure to a nail at the top of your door. Doesn’t it look cute? I love how it turned out! 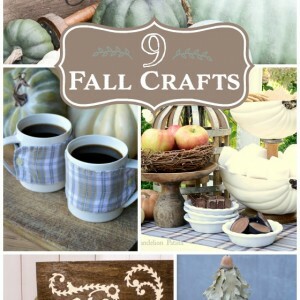 If you liked this post, then you might like a few of the fall crafts found in the “Related Posts” below. 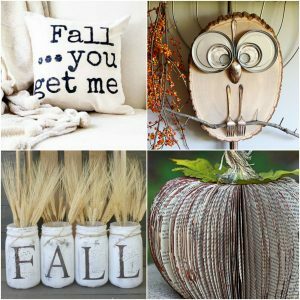 Check them out and feel free to pin this post idea for later! 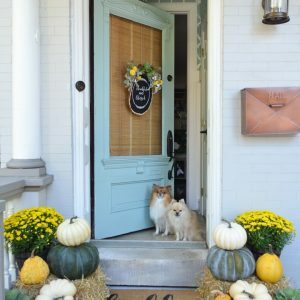 This is very sweet alternative to hanging a wreath on the front door. I like the colors and textures created by the decorated wood slab, door color, and the bamboo shade on the inside of the door. It is very pleasing to the eye. Thanks for sharing. Hi. 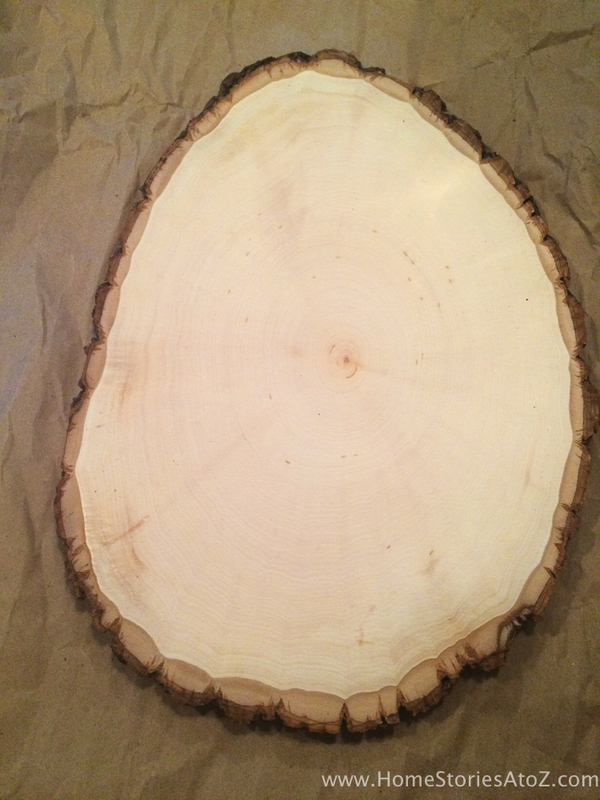 Did you seal your wood slice before you painted it? No, I just applied chalkboard paint. 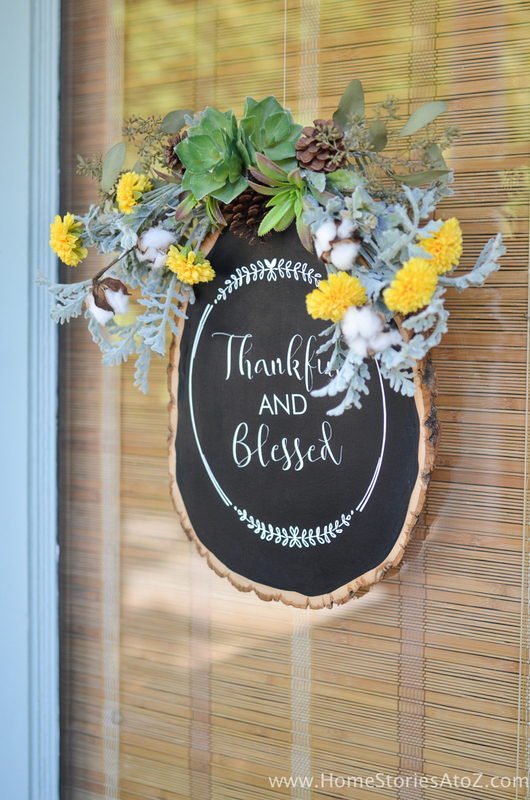 You could also use flat black paint especially if you do not plan to change the wording later on. I love this! I’m going to make this a weekend project with my daughter for her new home. Thank you for sharing such a lovely idea. You’re welcome! I’m so glad you like it. This would look so fine on our apartment door. I think I might actually try it! !